The market of online dating sites has been flourishing for the last couple of years in Singapore. Unfortunately, many users feel lost and have difficulties finding the dating site that suits them best. That’s why we decided to do the job for you: we have reviewed the most popular online dating sites in Singapore and ranked them based on our experience on these dating sites. Our wish is to offer you a clear and relevant classification based on real user experience. 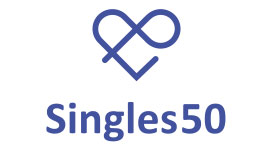 To review the dating sites we have used objective criteria such as: the structure and ergonomics of the site, the features, the quality of profiles, the quality/price ratio, etc.